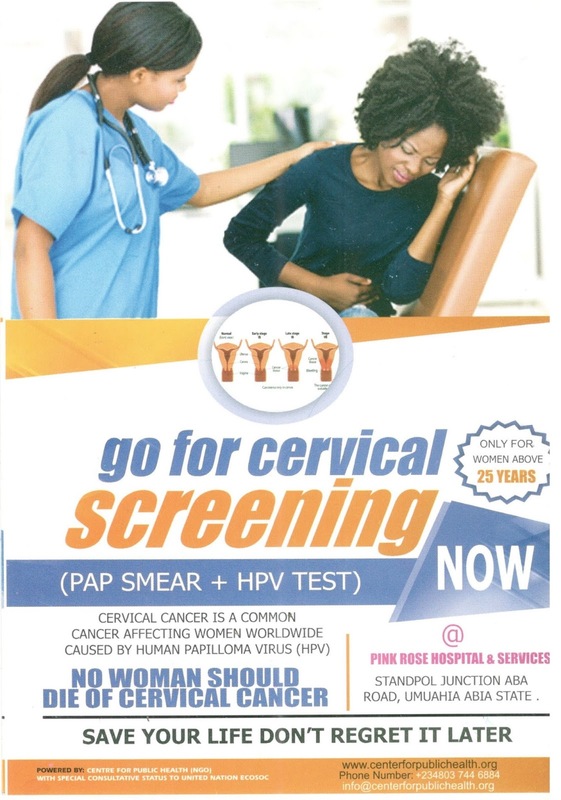 To observe the world 2019 World Cancer Day, CENTER FOR PUBLIC HEALTH is conducting CERVICAL SCREENING comprising of PAPS SMEAR and HPV TEST (based on World Health Organization recommendation) for women from 25 to 65 years. Venue PINK ROSE HOSPITALS ,STANPOL JUNCTION,ABA ROAD, UMUAHIA,ABIA STATE. 08037446884. From MONDAY 4th Feb to 7th Feb 2019.